Users can now define "Sender Profiles" for their email campaigns. These profiles allow your team to easily reuse From & Reply-To information between campaigns. Introducing our newest suite of APIs. 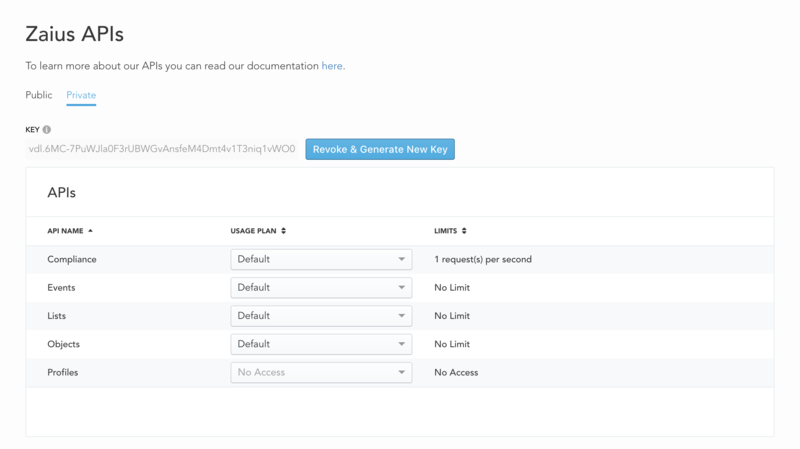 You can now view available APIs, generate & revoke private API keys, and check rate limits. We are pleased to announce the release of the new Zaius Developer Portal at developers.zaius.com. Our developer documentation has been redesigned from the ground up, with an emphasis on clarity.